Extraordinary Dogs: Can your Dog Point? After he got his doctorate in biological anthropology from Harvard, Dr. Brian Hare and his colleagues finally published their results: “Dogs could indeed pass the pointing test, while wolves, their wild relatives, could not”. 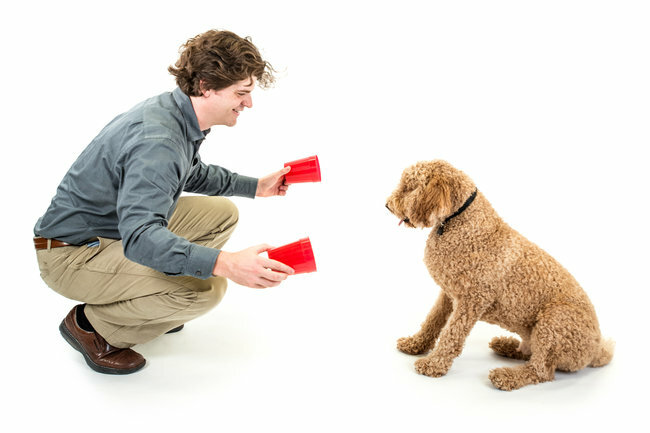 Dr. Hare, now an associate professor at Duke, has continued to probe the canine mind, but his research has been constrained by the number of dogs he can study. Now he hopes to expand his research geometrically - with the help of dog owners around the world. He is the chief scientific officer of a new company called Dognition, which produces a website where people can test their dog’s cognition, learn about their pets and, Dr. Hare hopes, supply him and his colleagues with scientific data on tens of thousands of dogs. To explore dog cognition further, he set up the Duke Canine Cognition Center in 2009. He and his colleagues built a network of 1,000 dog owners willing to bring in their pets for tests to begin to investigate new questions about dogs. With a grant from the Office of Naval Research he’s looking at ways to identify dogs for jobs like bomb detection. He’s also trying to find the “cognitive style” of the successful service dogs. To do so, he and his colleagues have developed a battery of 30 tests that altogether take four hours to administer. They have tested 200 dogs and are searching for hallmarks that set the service dogs apart. He helped form Dognition, he said, partly because of interest from dog trainers who asked him if they could test their own dogs’ cognitive style. The tests are now available online: For a fee, dog owners get video instructions for how to carry them out. (Besides the pointing test, they include a test in which the owner yawns and then watches to see if the dog does too - a potential sign that dog and owner are strongly bonded.) The company then analyses how a given dog compares with others in its database for qualities like empathy and memory. One hypothesis has already emerged from Dognition’s users, Dr. Hare said. A surprising link turned up between empathy in dogs and deception. The dogs that are most bonded to their owners turn out to be most likely to observe their owner in order to steal food. “I would not have thought to test for that relationship at Duke, but with Dognition we can see it,” said Dr. Hare. 15 Reasons Animal-Assisted Therapy Works!